Lamb has often been a traditional food for Easter. 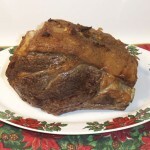 My family will be enjoying a grassfed leg of lamb this Sunday, using traditional flavorings. Lamb may just be the most popular meat in the world, enjoyed in Europe, Asia, Africa, and South America, not to mention Australia and New Zealand. But usually not in the United States. 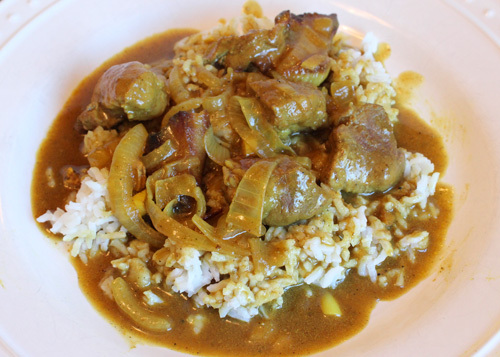 Americans generally dislike lamb, and rarely eat it. Many Americans who taste American lamb find it gamy and not tasty. But there are specific reasons why some American lamb tastes this way. The right kind of lamb, raised on its natural feed, properly spiced and cooked, is some of the most delicious meat you will ever eat. American lamb used to be wonderful, especially lamb raised in the west, by experienced Basque shepherds. But times have changed. Most of the lamb in the world is grassfed only. But not in the United States. Most American lamb is finished on grain. This causes the lambs to grow bigger and faster, and increases profits. However, lamb, more than any other meat, tastes like what it eats. Most of the grains fed to lamb are the same GMO corn and GMO soy fed to factory cattle. Grain feeding, in my opinion, totally ruins the taste of lamb. 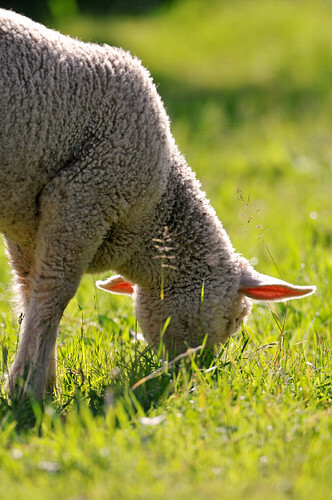 Grass feeding, on rich pastures full of wild herbs, can give a wonderful taste to lamb. Another problem is that much American lamb comes from breeds developed for wool, not meat. These wool breeds often have a bad taste and smell that meat breeds do not have. American lamb is also too big, which has a negative effect on taste. The standards as to what can be called lamb are quite lax in the U.S., and older animals can now legally be sold as lamb. The selling of older lambs also contributes to the size problem. Here is an example. 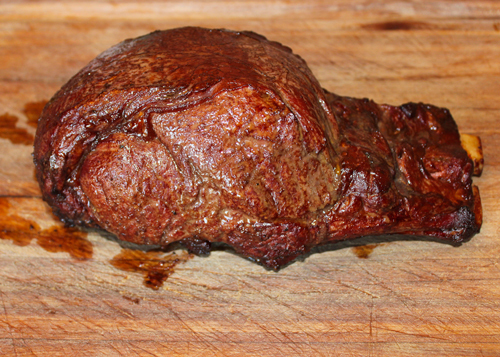 A leg of lamb in the U.S. often weighs eight to ten pounds, or even more. In most other countries, a leg of lamb is closer to four to five pounds in weight. Lamb also needs to be cooked properly. Traditional cuisines cook lamb with a variety of herbs, spices, vegetables, and marinades that really enhance its taste and provide absolutely wonderful meat. Americans generally do not know how to cook lamb. Lamb should only be grassfed, in my opinion. The flavor is far superior, especially if the pasture is good, and it also has the health benefits of grassfed meat. Grassfed lamb can be found in the U.S., though it can take some effort. I have also found good grassfed lamb in the U.S. that is imported from New Zealand. Some imported and domestic grassfed lamb can be incredibly expensive, so it pays to shop carefully and compare prices. Lamb should also come from a meat breed, rather than a wool breed. There are some breeds that are supposed to be equally good for meat and wool, but I personally prefer the flavor of a meat breed, raised on grass. I also try to buy meat from smaller lambs, as I find the flavor to be milder and superior. This can be a challenge, but is well worth the effort. It is also important to know how to cook the lamb, and to use some of the traditional flavorings that have enhanced the flavor of lamb for thousands of years. My cookbooks Tender Grassfed Meat and Tender Grassfed Barbecue have many delicious recipes for lamb using traditional ingredients. These include garlic, green herbs such as rosemary and thyme, traditional olive oil, fresh lemon juice, and others. 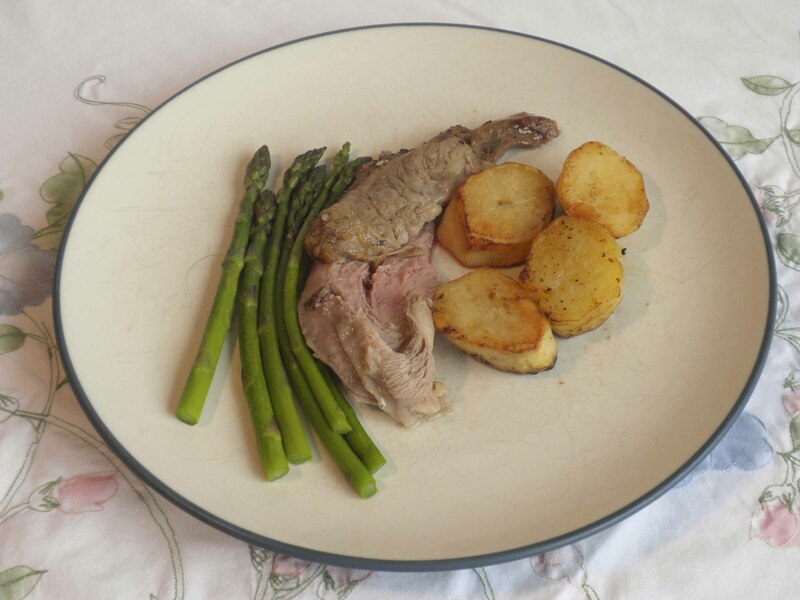 Here is a link to a recipe for grassfed lamb that I developed for Easter, which is an example of how good grassfed lamb really can be. Lamb is very unpopular in the United States. The amount of lamb in the diet of the average American has declined steadily. When I mention lamb to my friends, most of them say “I don’t like lamb.” This dislike is so intense that most of them will not even taste it. Yet lamb is extremely popular and valued in all of Europe, the former Soviet Union, the Middle East, India, Australia, South America, New Zealand, in most of the world. In fact, lamb may be the world’s favorite meat. Why do Americans dislike lamb? Why does the rest of the world love it? The answer is very simple. The lamb eaten in the rest of the world is very different than most American lamb. There are two major differences. First, American lamb is usually grain finished, while lamb in the rest of the world is almost always raised exclusively on grass. 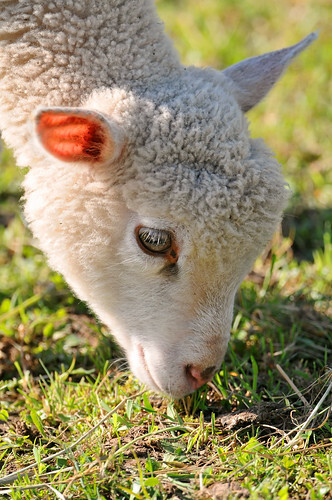 Second, American lamb often comes from animals that are also used for wool. Lanolin, a substance present in sheep bred for wool, gives an unpleasant taste and smell to the meat. Most of the lamb eaten in the rest of the world comes from breeds raised for meat, not wool. Most American lamb is “finished” on grain, in a feedlot. “Grain” usually means a mixture of GMO corn and GMO soy. This kind of grain is not the natural food of lambs, who are ruminants designed to live on living plants in the pasture, not processed grains. Most of the lamb eaten in the rest of the world is fed grass only, and is never put in a feedlot. This is a crucial difference, as the taste of lamb is heavily influenced by what the lamb is fed. For example, lambs raised in central Spain eat a number of herbs in the pasture, which gives a wonderful, herbaceous taste to their meat. Lamb raised in the salt marshes of Brittany is valued for its delicious meat, which has a slightly salty taste, from marsh plants growing in salty soil. Lamb fed GMO corn and GMO soy has its taste altered by this feed. I consider the taste of such grain fed lamb to be awful. Grassfed American lamb is wonderful. I have been fortunate enough to get lamb from the Willamette Valley in Oregon. This lamb has a wonderful flavor from some of the richest, greenest grasses in the world. I have also been fortunate enough to get lamb raised on the Great Plains of the United States, which has grazed on the rich native grasses that were used to nourish the buffalo. The taste of this lamb is also wonderful, though it is different from the Oregon lamb, because the native forage is different. Grassfed lamb has a sweet, clean taste, redolent with the flavor of the living herbs and grasses eaten on the pasture. It is never greasy, and the texture is firm and tender. The first step to eating great lamb—buy grassfed and grass finished only. Humankind has developed many breeds of sheep over thousands of years. Some breeds were developed for their wool, which was used to make clothing. The wool and meat of these breeds contain a great deal of lanolin, a substance that smells bad and gives an unpleasant flavor to meat. Breeds that have been developed for meat do not have lanolin, and their meat smells good and lacks the unpleasant flavor given by lanolin. Many of these meat breeds have a wonderful flavor and texture of their own, when grassfed. Unfortunately, much of the lamb sold in the United States comes from breeds that are used both for wool and meat. This is the cause of the unpleasant smell and taste so many Americans associate with lamb. Meat breeds smell good and taste better. The second step to eating great lamb is to only buy lamb that was bred for meat, not wool. US Wellness Meats is a great internet source of grassfed lamb from breeds that have been developed for meat. Once you have grassfed and grass finished lamb, from a meat breed, you have to know how to cook it. Lamb is not difficult to prepare, but it is easy to ruin. There are many traditional ways of cooking grassfed lamb that are both easy and wonderful, and a number of them are in my cookbook, Tender Grassfed Meat. The third step to having great lamb is to learn traditional ways of cooking it. Buy only grassfed and grass finished lamb. Buy only lamb that is raised for meat. 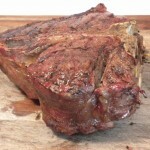 Learn how to cook this wonderful meat. A very elegant and traditional French way to prepare lamb is to roast it encased in a delicious coating, which always includes parsley. Parsley has a special affinity for lamb, and the combination is both traditional and wonderful. This version also highlights pistachio nuts, which give a very nice flavor to the lamb. Roasting the lamb in the coating keeps it juicy, enhances tenderness, and infuses the meat with the flavor of the coating. This recipe was created by Ivy Larson, one of the authors of the bestselling book, The Gold Coast Diet. Ivy and I have become Internet pen pals, and I have really enjoyed discussing nutritional issues with her. Ivy also emphasizes the use of whole foods and the avoidance of the artificial foods that plague our culture. Ivy, however, favors a Flexitarian approach, which emphasizes the use of a wide variety of whole foods, especially plants, along with a small amount of meat. My approach is different, as I follow the dietary recommendations of the Weston A. Price Foundation, and eat a great deal of grassfed meat and fat. Ivy does emphasize the use of grassfed meat, as opposed to factory meat. When she does cook meat, she really has a flair for it, as shown by this delicious recipe. I recommend that anyone who is interested in a Flexitarian or “less meaty” approach to whole food nutrition check out Ivy’s website, Hot and Healthy Living. Food is always better in season. Our ancestors knew this. Before food was industrialized, we would wait for that particular time of year that each fruit and vegetable would reach its peak of flavor and nutrition, when it would arrive at the markets with great anticipation. The first plump, juicy cherries, the first sweet corn of the year, the first fragrant peaches—were awaited eagerly and consumed with joy. People welcomed the first spring lamb of the year. This lamb, nourished by the rich green grass of spring, often flavored by the young flowers and herbs also loved by sheep, had a tenderness and flavor that was exquisite, beyond compare. Lamb is available all year round now, and is not very popular in the United States. Most lamb raised in the US has been bred to gargantuan sizes, finished on grain rather than grass, and tastes nothing like the lamb humanity has enjoyed for most of history. No wonder people don’t like it. I don’t like it. But you can still find the real spring lamb, lamb finished on the sweet green grass of spring, lamb that is mild and sweet and tender, infused with the flavor of herbs, lamb that is absolutely delicious. This lamb is at its absolute best when cooked on the bone, with the flavor of the meat being enhanced by the marrow, and the internal cooking aided by the heat conducted by the bone. 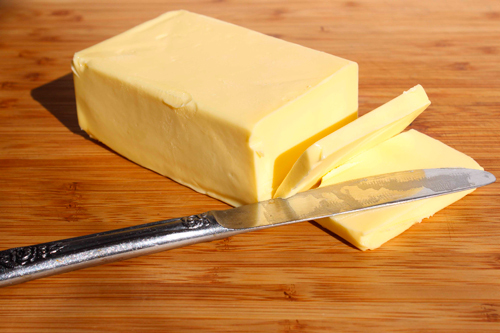 It is even better when naturally basted with a cap of its own natural fat. You can only find the real traditional lamb from grassfed farmers, who raise lamb the traditional way. This recipe was made with a bone in leg of lamb from Northstar Bison, whose lamb is exquisite (as is their bison). No people honored lamb more than the Greeks, a tradition going back thousands of years. I have used Greek flavors with this wonderful grassfed lamb. Once you taste this lamb, you will understand why spring lamb was so valued. The night before you plan to cook the roast, cut 16 slits, about an inch deep, all over the top and sides of the lamb. Push a garlic quarter into each slit, as deep as it will go. Roll the lemon on a flat, hard surface, pressing down with your hand. This will help release the juice. Cut the lemon in quarters, and squeeze the juice into a glass bowl. Remove any seeds from the bowl. Reserve the lemon quarters. Add the thyme, oregano, pepper, salt, and olive oil to the lemon juice, and mix well to make a marinade. Place the lamb in a glass bowl, and coat well with the marinade. Crush the lemon quarters a bit in your hand (warning, your hand will smell like lemon), and press the yellow side of the lemon quarters into the meat. Cover, and refrigerate overnight. Remove the lamb from the refrigerator an hour before you plan to start cooking it, so it can come to room temperature. Preheat the oven to 425 degrees. Place the lamb in a roasting pan, fat side up, and pour any marinade left in the bowl over the lamb. Cook for 15 minutes. 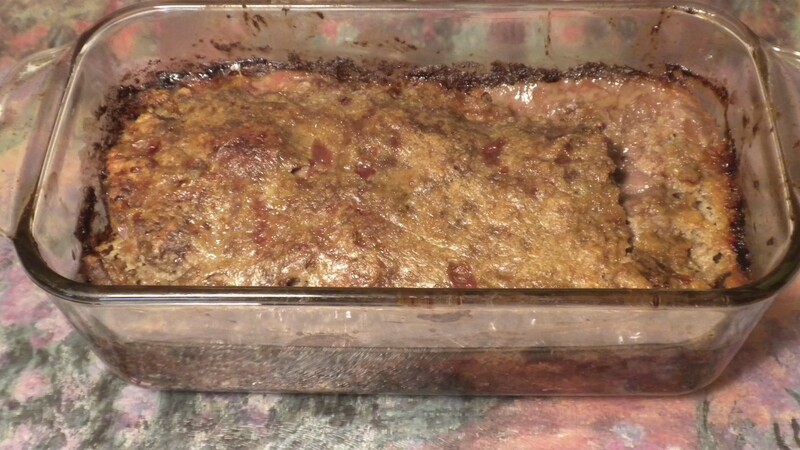 Remove the pan from the oven, baste with the pan drippings, and return to the oven. Cook for another 15 minutes. Remove the pan from the oven, baste with the pan drippings, and return to the oven. Turn the heat down to 300 degrees. Cook for another 30 to 50 minutes, depending on how you like your lamb. Serve and enjoy! Remember that lamb tastes best when it is hot, not warm. 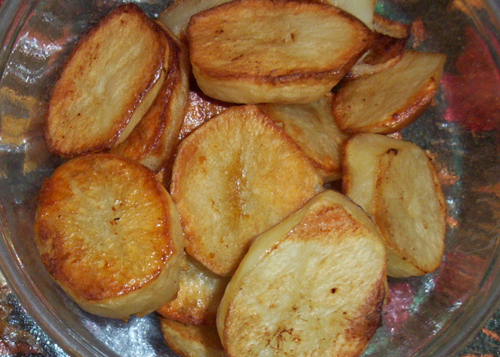 This recipe is part of Real Food Wednesday Blog Carnival at Kelly the Kitchen Cop.